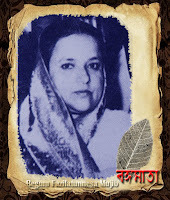 Home affairs minister Advocate Sahara Khatun said that the masterminds of the killing of Bangabandhu in 1975, the grenade attack on Prime Minister Sheikh Hasina on August 21 and the attempt to smuggle 10 truckloads of arms in 2004 have been masterminded by the same group and followers of the same ideology. 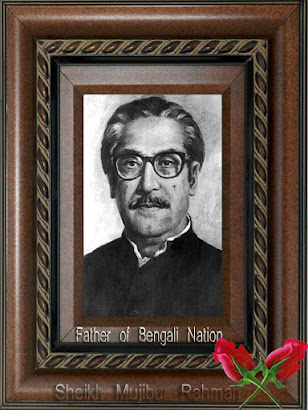 ‘The Pakistanis wanted to kill Bangabandhu Sheikh Mujibur Rahman several times during their reign so their associates killed him, along with most of his family, in independent Bangladesh,’ she said while addressing a roundtable on ‘The national mourning day, grenade attack on August 21 and Chittagong arms haul — in quest of the godfathers’ at Dhanmondi. 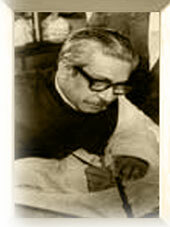 The roundtable, chaired by Justice Golam Rabbani, was organized by the Heritage Foundation of Bangladesh. 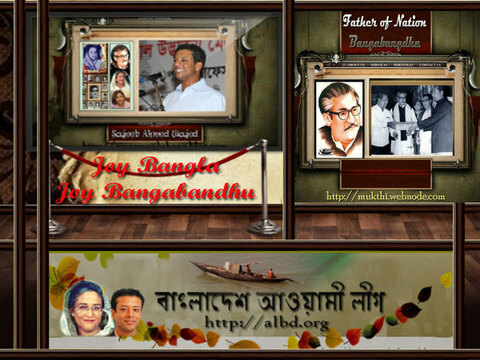 It was addressed by chairman of the parliamentary standing committee on the law ministry Suranjit Sengupta, state minister for law Qamrul Islam, former state minister Abul Hassan Chowdhury, former ambassador Waliur Rahman, former secretary Syed Rezaul Hayat and Dr Syed Anwar Hossain, along with others. Farhad Hossain, associate professor of the English department of Mohammadpur Kendrio Biswabiddalaya College, and Mamun-ur-Rashid, senior reporter of the daily Janakantha, read out separate keynote papers at the round table. 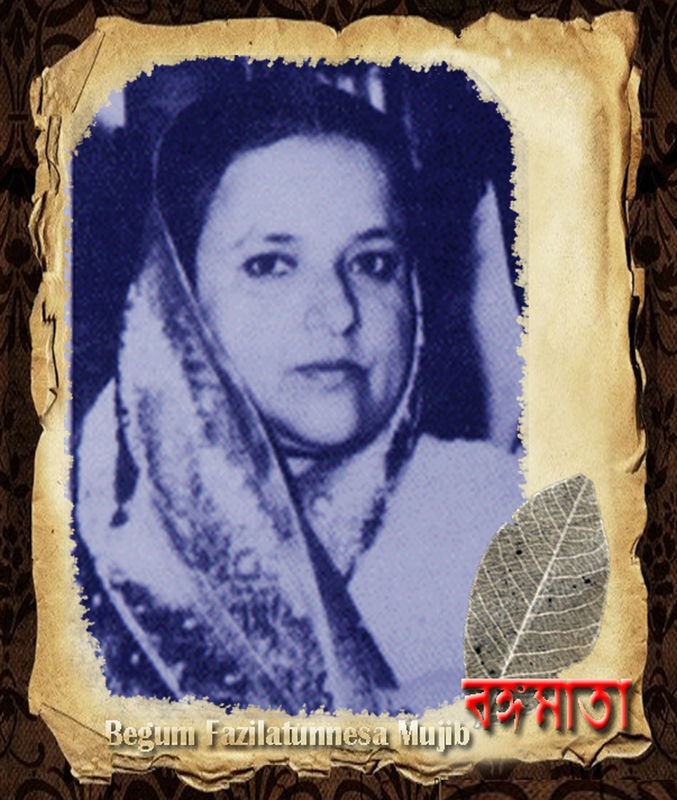 Sahara Khatun said that the national trauma has been partially cured by the execution of the five killers of Bangabandhu on January 27 this year. Notices have already been issued through Interpol to find the six fugitive killers and they must be brought back within the shortest possible time, she said, adding that the godfathers behind the killing of Bangabandhu are still active inside and outside the country. Those godfathers were behind the grenade attack on Prime Minister Sheikh Hasina on 21 August, 2004 because they wanted to destroy the leadership of Awami League to complete their earlier mission, said Sahara, adding that the same group tried to smuggled 10 truckloads of arms into the country for launching widespread destructive operations in Bangladesh. She said that the anti-liberation forces defeated in 1971 have been putting up obstructions to stop the trial of war criminals and urged all to be careful and united against these embittered militant forces. 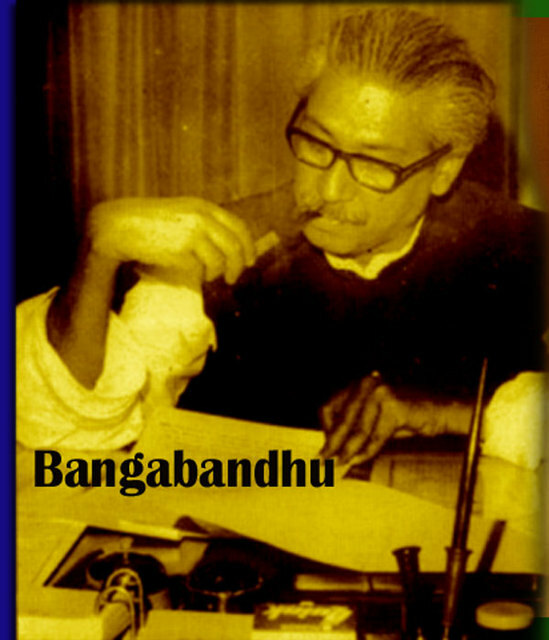 Suranjit Sengupta said that counter-revolutionary forces killed Bangabandhu in 1975, and later their leader General Zia tried to turn the country into a mini-Pakistan in the name of multi-party democracy. Terming the present time as very crucial, he called upon all the pro-liberation forces to be united against those godfathers and their associates who are still active in many ways and under many banners. 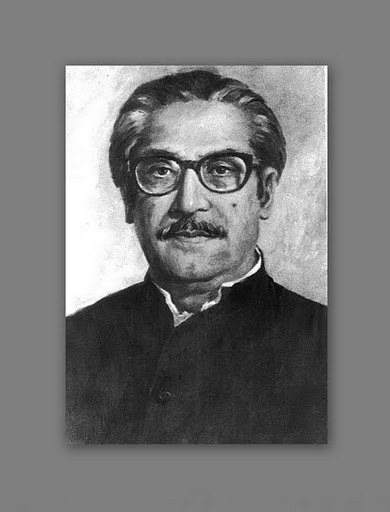 State minister for law Qamrul Islam said that the killers of Bangabandhu had tried to demolish the spirit of the liberation war in order to reunite the country with Pakistan in line with the two-nation theory. 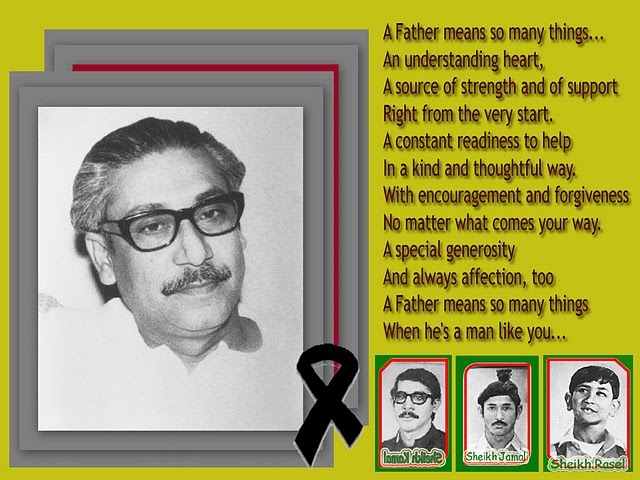 Accusing General Zia of being involved in the killing of Bangabandhu, the state minister alleged that his wife Khaleda Zia had also tried to kill Prime Minister Sheikh Hasina and most of the senior Awami League leaders by launching the grenade attack on 21 August, 2004. Terming General Zia as an ‘intruder’ in the liberation war, he said that after the killing of Bangabandhu, Zia proved his anti-liberation stance by sheltering Bangabandhu’s killers, rehabilitating Razakars like Shah Aziz into politics and killing hundreds of freedom-fighters in the army like Colonel Abu Taher Bir Uttam. 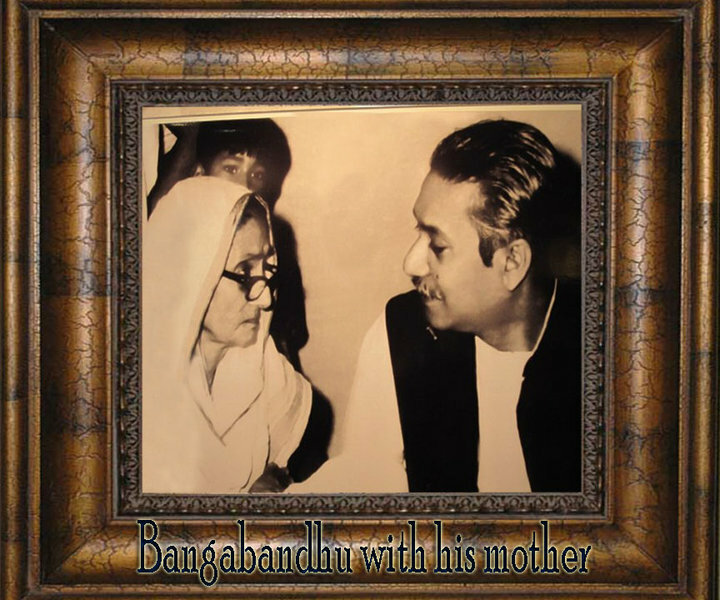 Accusing former state minister Lutfozzaman Babar of masterminding the grenade attack on 21 August, 2004, Qamrul said that the forces that killed Bangabandhu in 1975 and tried to smuggle arms through the CUFL’s jetty in Chittagong were the same. The grenade attack on Awami League rally at Bangabandhu Avenue on 21 August was undoubtedly aimed at assassination of Sheikh Hasina. Before she could leave the place of occurrence there were at least 9 grenade blasts and many rounds of shooting. A very determined and well-planned attack was launched and it was carried out in about a couple of minutes. Despite heavy, although less than normal, deployment of police personnel and strict security arrangements in the area the criminals fled the spot safely. 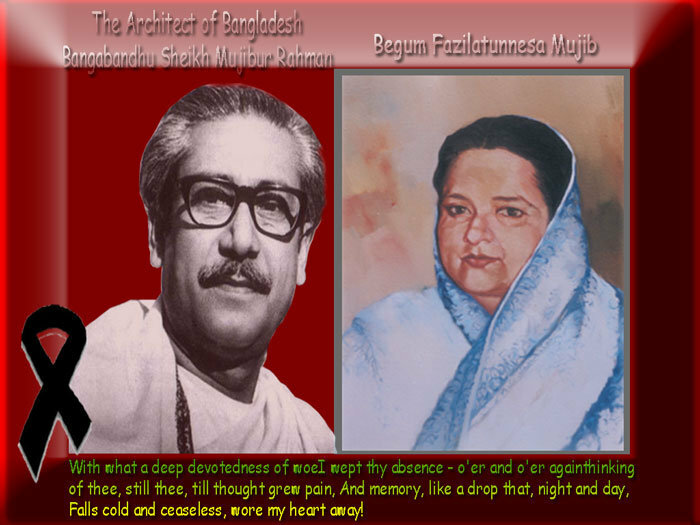 By the grace of Allah Sheikh Hasina escaped this dastardly attack as a number of Awami League leaders and workers laid down their lives, some in attempting to save her and others as innocent victims of the barbarous arrack. 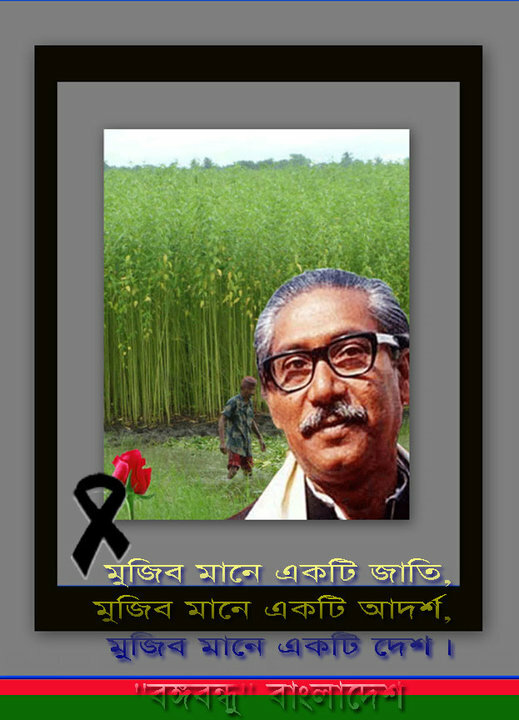 We bemoan the loss of Ivy Rahman, secretary of women’s affairs of Awami League, and 21 other dead souls. 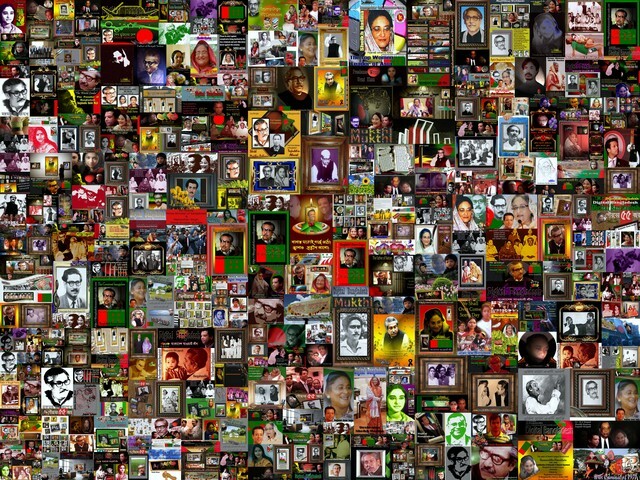 Hundreds of leaders and workers are still fighting for life and many have been permanently maimed. We pray for their recovery and solace. 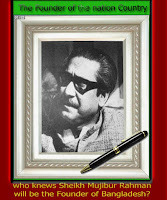 In its immediate reaction Awami League termed it as a planned assassination attempt and unequivocally accused the government for its complicity in the attack. 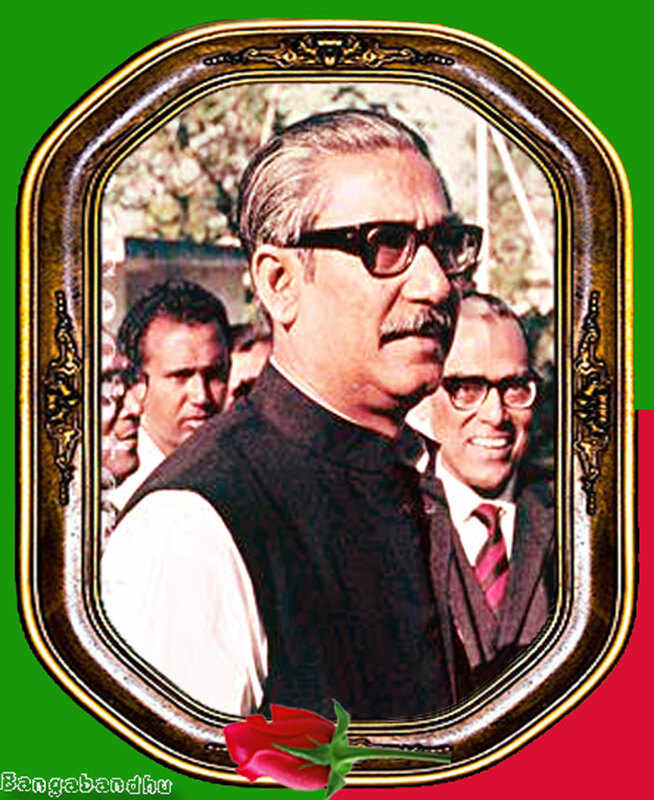 It was a repeat performance of 15 August 1975 when Bangabandhu and members of his family and other relations and staff were murdered most brutally. 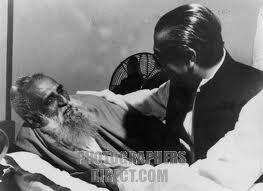 It was suspected that the same reactionary forces, the defeated rajakars and fundamentalists and the slaves of Pakistan, were once again back in their nefarious pursuit. Awami League also saw in this attack a culmination of the overall state of lawlessness, the rise of extremist groups and series of murders of AL leaders and bomb or grenade attacks on secular institutions and gatherings all over the country. All other opposition parties concurred with such an assessment. All the opposition forces considered it to be an attack on liberal traditions of the country, an attack on democracy and secularism. 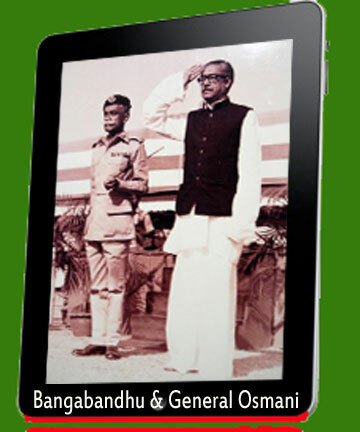 Why did the Awami League accuse the government immediately following the grenade attack? From past experience it was suspected that investigation would be misdirected and it would be eyewash. The incident was so serious that it required a thorough scrutiny and it was felt that the government should be put on notice not to neglect the gravity of the issue. 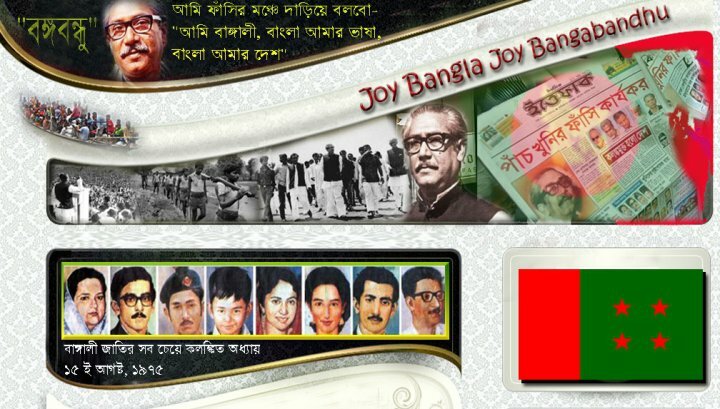 Since the BNP-Jamat alliance came to power nearly three years ago terrorism got a new lease of life in the country. 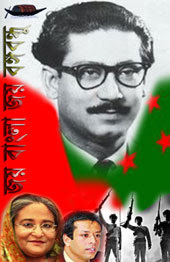 Under the patronage of the ruling parties violence directed against the members of minority communities and against opposition forces flourished and threat to the life of Sheikh Hasina increased exponentially.Before the end of 2001 they annulled the law on security for Sheikh Hasina and her sister and withdrew the protection provided by the SSF. 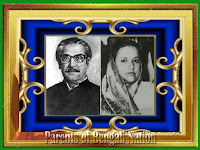 Because of constant threat on the lives of the only surviving children of the Father of the Nation such a law was enacted in 2001 prior to Sheikh Hasina’s completion of term as the Prime Minister. 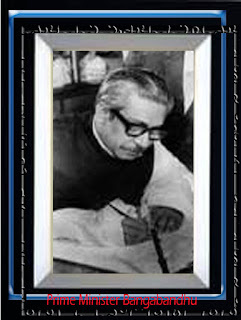 A General Diary entry made in a police station on 30 November 2001 recorded by Sohail Taj, newly elected MP of Kapasia, stated that in view of the threat on the lives of the members of the family of the Father of the Nation this annulment of the law would prompt conspiracy by evil terrorist forces to assassinate them and attempt murder. How prophetic was the perception of the young MP! 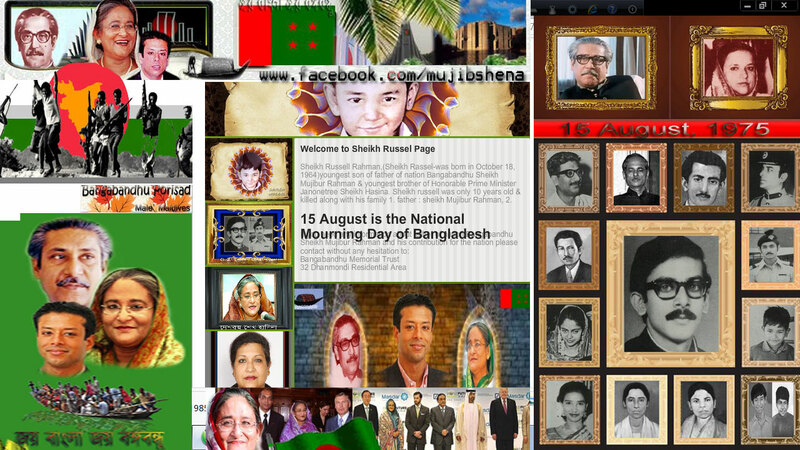 In actual fact since 2002 four assassination attempts have been made on Sheikh Hasina’s life. 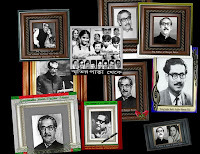 At first at Naogaon on 4 March 2002, second on 29 August 2003 at Satkhira, third on 26 February 2004 at Barisal Ferryghat and the next on 2 April at Gournadi. On every occasion proper attention of the government was drawn and protection sought. Almost invariably armed cadres of BNP were involved in these attacks. On 5 July 2004 when she was on tour at Istanbul in Turkey she was threatened on telephone both at Istanbul and at Dhaka. As usual the government was requested to investigate and take precautionary measures. 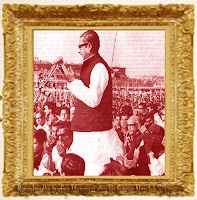 But the government followed the policy of benign neglect and Khaleda Zia instead joked about it in parliament.The most violent grenade attack on 21 August was the culmination of all these incidents and it happened in broad daylight in the presence of hundreds of security personnel and in a crowded public rally. A series of grenades were thrown and several rounds of gunfire followed it and the criminals escaped unharmed and undetected. The police it seemed helped them to flee by clubbing and tear gassing the milling crowd. It was a widely publicized political protest gathering and numerous agencies and offices of the government monitored it. The various branches of the police, the different intelligence agencies, the civil administration, and the municipal authorities – no one had a clue and no one could identify a criminal not to speak of catching or injuring any. Even almost a month after the incident there is no suspect or no arrest of a possible culprit. The after-thought of the ruling junta, now reported to have been indirectly legitimized by the farce of a judicial probe, about the unannounced change of venue for the rally is just false. 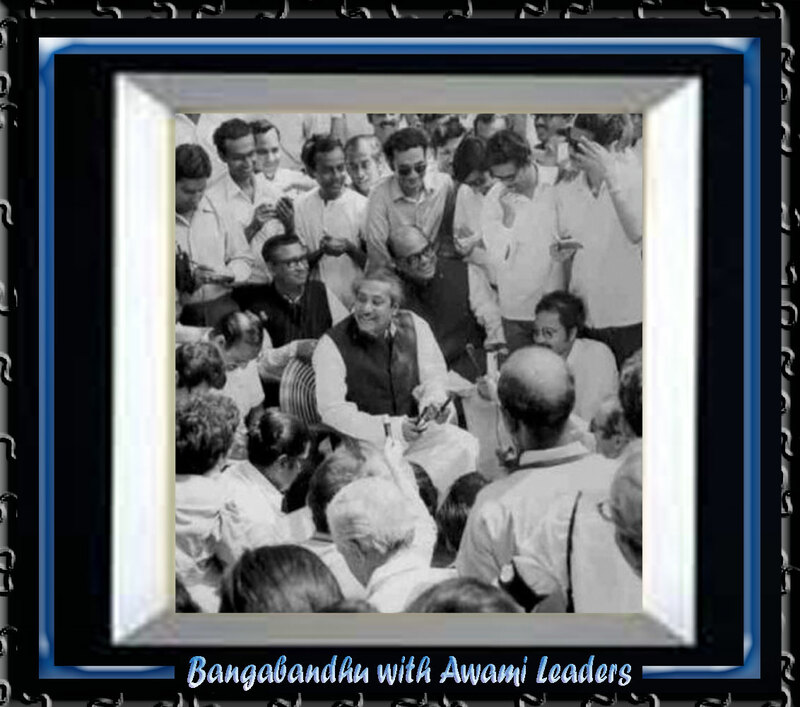 True that permission was sought for Muktangon but used to the usual government tactics of frustrating all plans for protest rallies or gatherings at the last moment alternative arrangements had to be made for Bangabandhu Avenue, only a few steps away. This fascist government never allows any protest demonstration by anybody and tries to frustrate them through various devices such as last minute denial of police permission for location, attack by their cadres, and illegal police barricade and resort to lathi charge, teargas shells and arrests. 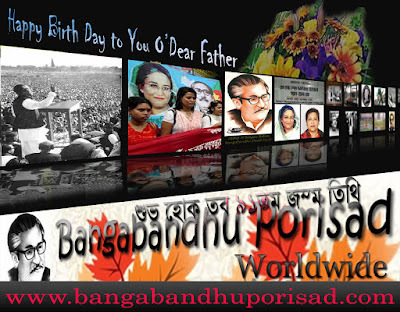 Bangabandhu Avenue as the venue, however, was widely publicized through microphone announcements and advertisements in newspapers for a number of days. The fact that the venue was Bangabandhu Avenue was so public that electronic media took position in advance of the event at that place to cover the rally. The legitimate question is what were the security personnel engaged in protecting the Leader of the Opposition and other officials deployed for the rally doing? How did all the intelligence agencies fail to cope with the situation? Is it utter incompetence or criminal negligence? Or is it complicity of the government in the preplanned and well-rehearsed assassination attempt?Let us look at the allegation of complicity of the government. The spread of violence, the growth of extremist groups and the record of investigation of the last three years may first be examined to find some clues. Then we can look at the developments since the attack. 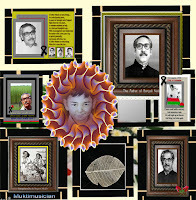 Spread of ViolenceIncidents of violence involving use of explosives began in 1999 and it was thought that the intention was destabilization of the polity as well as the economy of the country. A list of all these incidents is provided below. During AL period there were seven incidents of bomb blast, two in the last month of its term. Investigation on two incidents resulted in submission of charge sheet against accused persons and trials were about to begin. Help from FBI was also sought in one of these cases. In connection with two other incidents investigations led to arrests of a few suspects. On three other incidents, including the two latest ones, investigation was incomplete. Thus there is no truth in the allegation that these cases were not investigated properly. 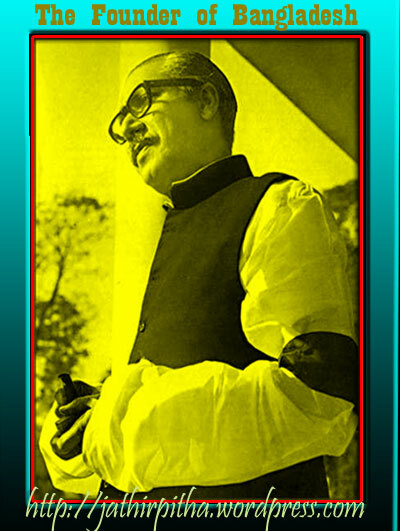 We shall soon find out how all the cases and investigations have been derailed or halted by Khaleda-Nizami junta. In three months of Caretaker government there were three more cases. The junta has closed two cases failing to find any accused person and only one case is still under investigation. The Caretaker government dealt conclusively with only one incident that took place earlier. They closed investigation on Khulna Ahmadiya incident by submitting a final report on 23 August 2001.During BNP-Jamat rule of three years there has been 8 incidents of bomb blasts and 4 more of grenade throw. There are also several cases of seizure of cachet of arms and explosives. 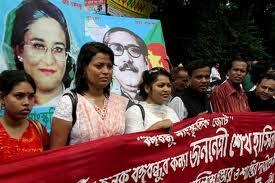 Investigations started by AL government were either halted or started afresh by the BNP-Jamat junta. In the Udichi case 24 persons were charge sheeted. BNP-Jamat government withdrew the charge against one of the main accused Tariqul Islam, alleged to have links with underground terrorist groups of south Bangladesh, and made him a Minister. In the Kotalipara case 15 persons were charge sheeted and one of the main accused Mufti Hannan was let off and reportedly he is abroad now. All action on the case stands stayed. The CPB case also a final report has closed the case. Action on three other cases has been held up on the plea of fresh investigation against new accused persons. Of the three incidents occurring during Caretaker regime two have already been closed by the junta by submitting final reports. It seems that the junta is following a policy of closing all cases submitting final reports that say that the case is true but criminals are not traceable. What can be a better way of shielding the criminals after fishing in troubled waters in wrong directions! As far as the later twelve incidents are concerned in only two cases – Sakhipur and Dinajpur incidents charge sheets have been submitted and all the rest are under investigation. In one of them involving attack on British High Commissioner Scotland Yard came to look into the matter but there is no news on what they did or what advice they tendered.The junta’s position on all the cases is that the Awami League and its followers were responsible for the incidents and they tried unsuccessfully to get this conclusion certified by a judicial commission headed by a former Judge A Bari Sarkar. Incidentally the report had to be trashed because of the partisan views and extra-judicial inferences of Bari Sarkar. 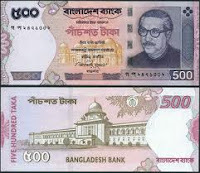 In another case of Gulshan Hotel Sylhet they arrested an expatriate Bengali Nunu Mia because of his AL connections and tortured him in custody but let him off after his MP from UK asked for proper investigation The junta in each case actually shields the culprits by pointing the accusing finger at AL leaders and workers. There are three important points to ponder over. 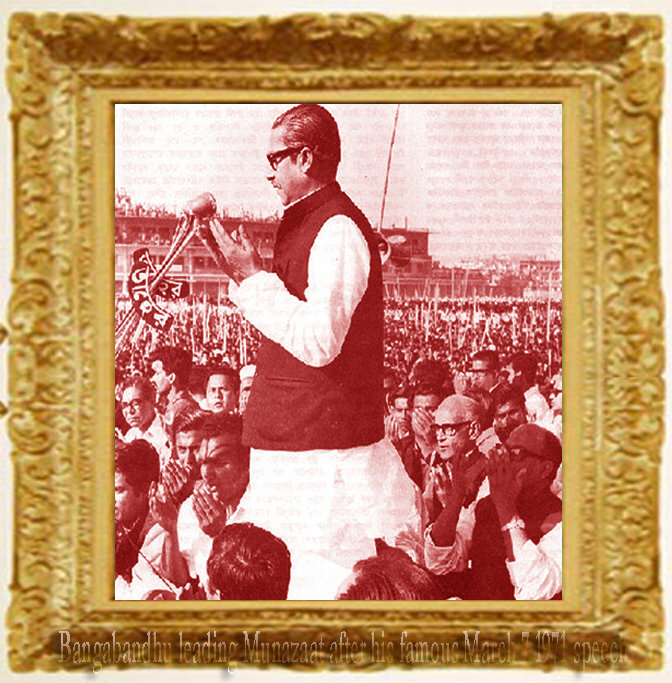 First, all acts of violence were directed at secular and progressive institutions and Awami League or forces supporting Awami League. 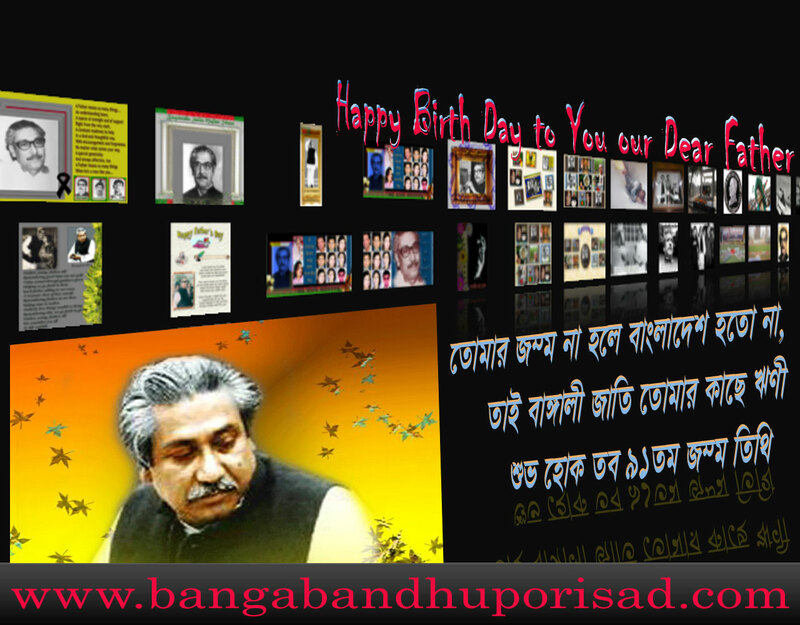 Second, none of the attacks targeted any BNP or Jamat rallies or their leaders and workers. Third, the frequency of such incidents increased from about the time of transfer of power by AL government, to be precise there have been 15 incidents since June 2001. Charge-sheet submitted against 24 accused persons during AL time on 14 December 1999. Appeal lodged in the High Court Division to quash the case was dismissed. After the junta took over accused Tariqul Islam (now Minister) was let off by the Appellate Division. The trial has since been halted and no further information is available. The case was under investigation and the Caretaker government submitted final report closing it on 23 August 2001. FBI called and charge-sheet submitted against 19 accused persons during AL time on 8 April 2001. The junta bailed out accused Mufti Hannan (a leader of the junta) and halted further proceedings. 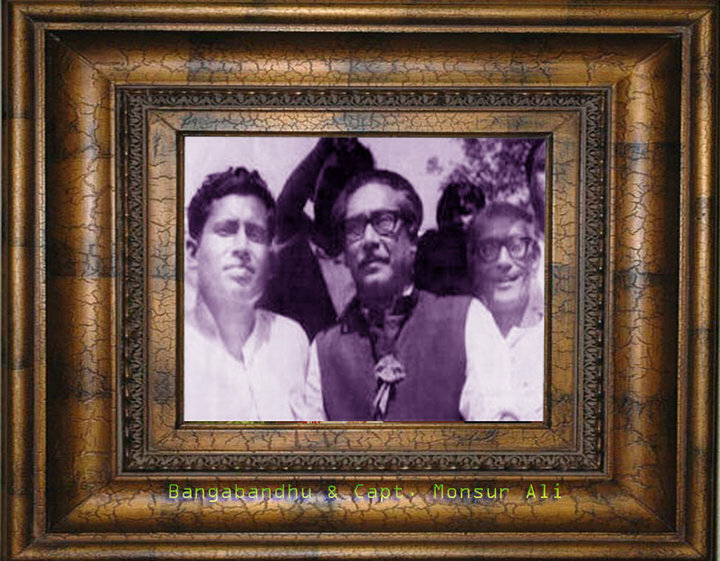 Mufti Hannan was earlier charge-sheeted in another explosives case on 25 January 2001. No further progress. Investigations led to arrest of 12 suspects. 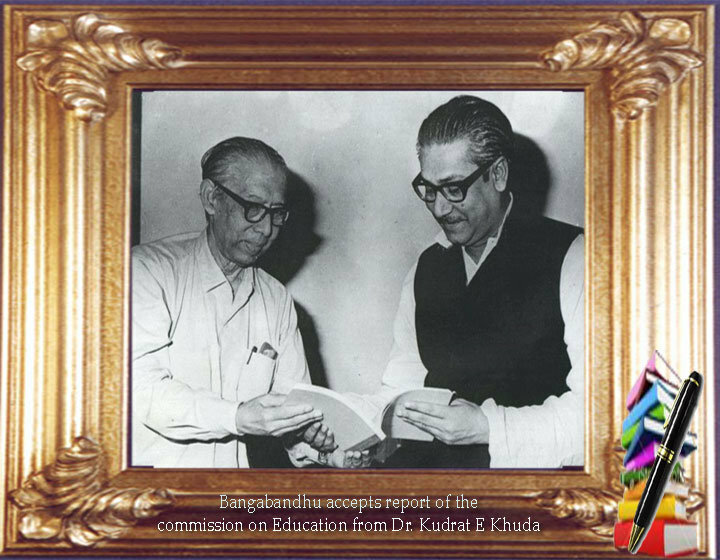 Final report closing the case was submitted by the junta on 17 December 2003. Two cases filed during AL time and 12 suspects arrested. But the junta ordered reinvestigation. No progress since then. Two cases filed during AL time. The junta ordered reinvestigation. No progress since then. Three cases filed during AL time. Two cases have been closed by the junta and final reports submitted on 27 January 2003. The other case has been halted for six months on 17 July 2004. 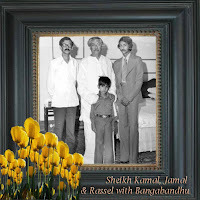 Case has been close and final report submitted on 7 December 2003. Case close and final report submitted 0n 31 January 2004. AL leaders, intellectuals and journa­lists arrested and tortured. But Judicial enquiry exonerated political activists. Investigation proceeding in slow pace. 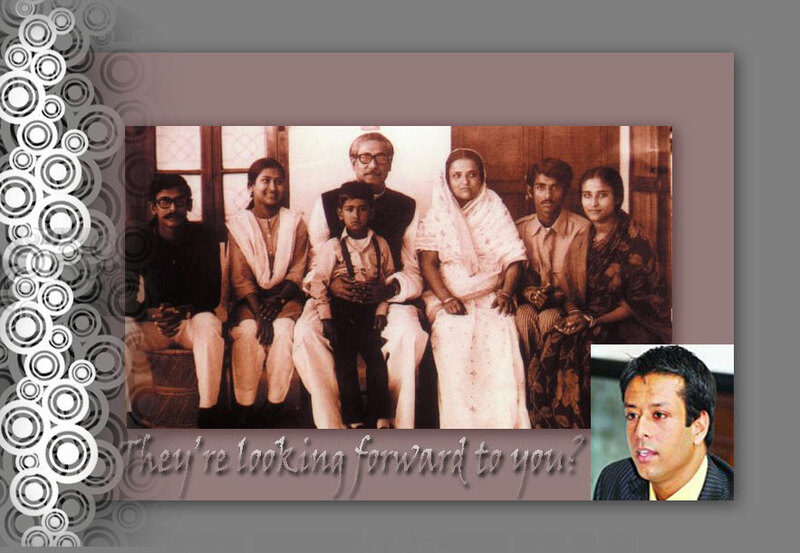 Investigation led to submission of charge sheet against 7 accused on 30 June 2003. But little progress thereafter. Charge-sheet submitted against 4 accused persons on 25 May 2004. Shah Jalal Mosque Sylhet. UK HC targeted. 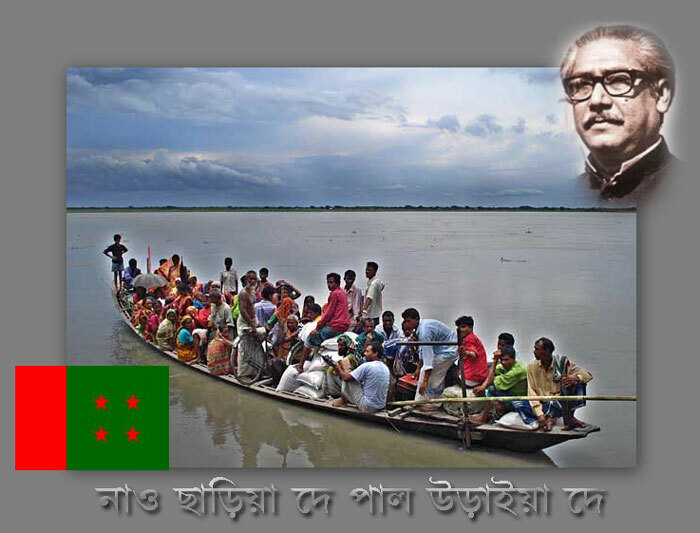 AL meeting in Derai Sunamganj. 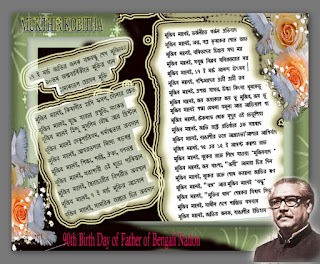 S Sengupta MP targeted. 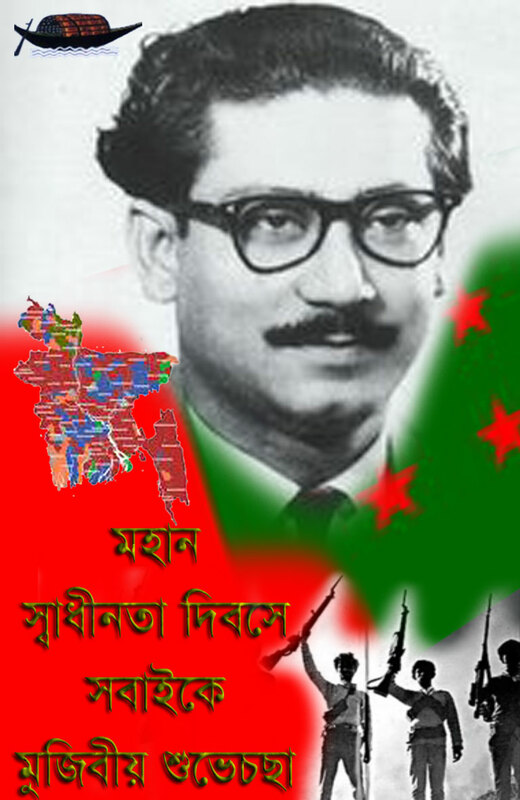 Gulshan AL Meeting Sylhet. Mayor targeted. 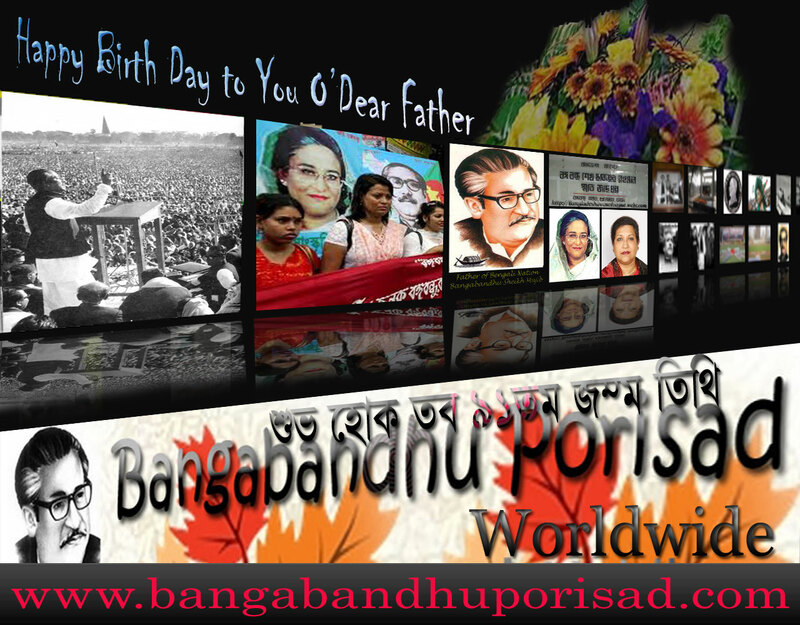 Bangabandhu Ave AL office. Sk Hasina targeted. Reportedly a large number of localized gangs of terrorists function under the patronage of leaders of the ruling junta. 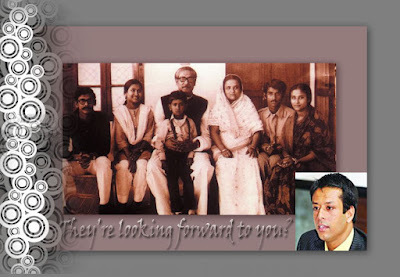 Notable among them are gangs associated with BNP leaders such as Minister Tariqul Islam MP of Jessore, Advisor to PM S Q Chowdhury MP of Chittagong, State Minister Lutfuzzaman Babar MP of Netrokona, State Minister Amanullah Aman MP of Dhaka, State Minister Ehsanul Huq Milan MP of Chandpur, Advisor to PM Barkatullah Bulu of Noakhali, State Minister Alamgir Kabir MP of Naogaon, State Minister Fazlur Rahman Patal MP of Natore, Deputy Minister Ruhul Quddus Dulu MP of Natore, Major (retd) Sayeed Iskandar MP of Noakhali, PM’s son Tareq Rahman of Bogra, Helaluzzaman Lalu MP of Bogra, Selim Reza Habib MP of Pabna, Nasiruddin Pintu MP of Dhaka, M Ilyas Ali MP of Sylhet, Shahidul Alam Talukdar MP of Patuakhali and Shahjahan Chowdhury MP of Chitta¬gong. Another worrisome point is the stance taken by the junta on the trial of the heinous assassinations of 1975 – the assassination of Bangabandhu, his family and colleagues on 15 August and the murder of the four leaders of our Liberation war in jail on 3 November. The beneficiary of the assassination was undoubtedly General Ziaur Rahman. He richly rewarded the killers with diplomatic assignments. He also ensured indemnity for them by constitutionally protecting the unethical and illegal Indemnity Order of 1975. 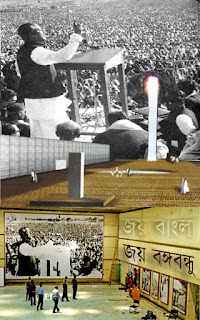 The Awami League government held the trial of the killers of 15 August 1975 under the normal law of the land. The sentencing in the trial was completed and it awaited Supreme Court ratification. Not only has this process been made impossible by this junta but they have also chosen to bestow favour on sentenced criminals. Major Pasha died as a fugitive from law who was sentenced to death. 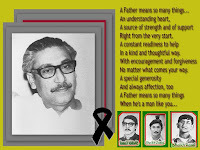 He has been reinstated after his death and his family given his pension. 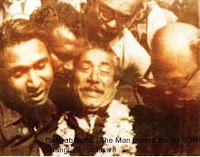 In the 3 November 1975 jail killing case, which had not concluded, the junta released a number of accused persons on bail and reinstated Major Khairuzzaman and also gave him promotion. 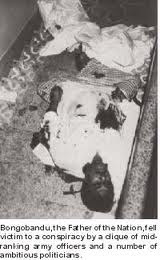 Some of the killers when they enjoyed immunity set up an armed cadre called Freedom Party and it went into hiding during the assassination and jail killing trials. 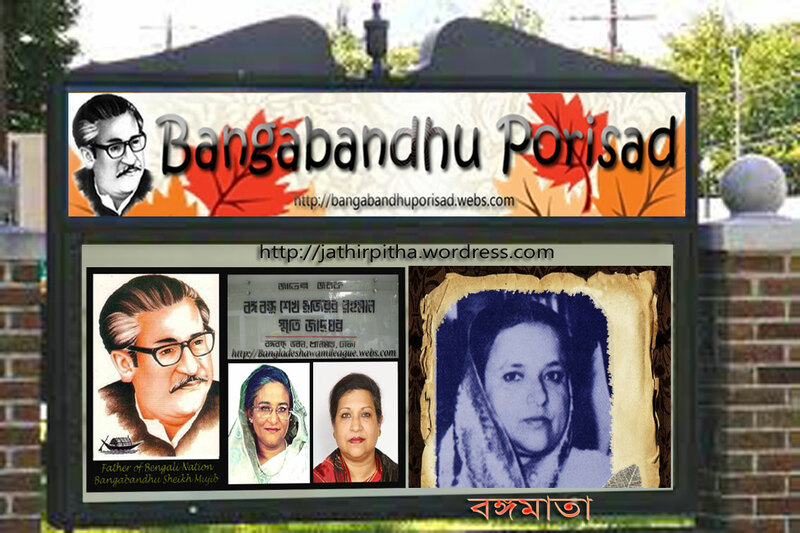 This cadre seems to have got a new lease of life as Khaleda-Nizami junta assumed power. It would not be wild to speculate that some of these killers, fugitive in the eyes of the law, may have been involved in the grenade attack. 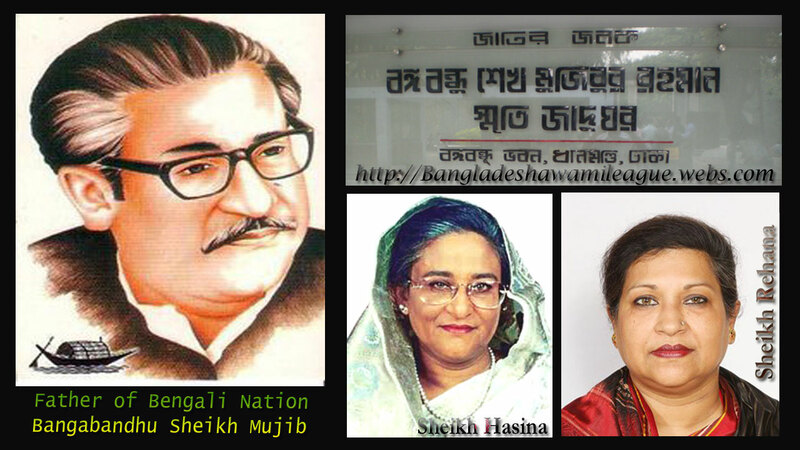 They had publicly threatened to kill Sheikh Hasina when they were active and interestingly live grenades were found within the covered walls of the jail soon after the grenade attack of 21 August. Let it not be forgotten the leader of the Freedom Party Col. Faruq is in the death row in the jail. The extremists groups started forming with financial patronage from Saudi Arabia, Libya and Iraq since the success of the Counter Revolution in 1975. These sources have now gone dry. The Madrassas and camps for Indian insurgents in border areas of Chittagong, Hill Tracts and Sylhet acted as the early breeding ground for the extremists. Awami League government destroyed most training camps taking advantage of peace accord with the tribes of Hill Tracts. It is suspected that many of them have resurfaced again. Another breeding ground was the Rohingya refugee camp in Cox’s Bazar where Jamat with Saudi NGO Rabita remained active. Madrassa and Maktabs in 1974 were about 1500, today their number is about 21,000. Most of them are archaic institutions preaching superstition and fundamentalism. AL government targeted some extremist groups such as Harkatul Jehad and some Madrassas but these were lukewarm steps. 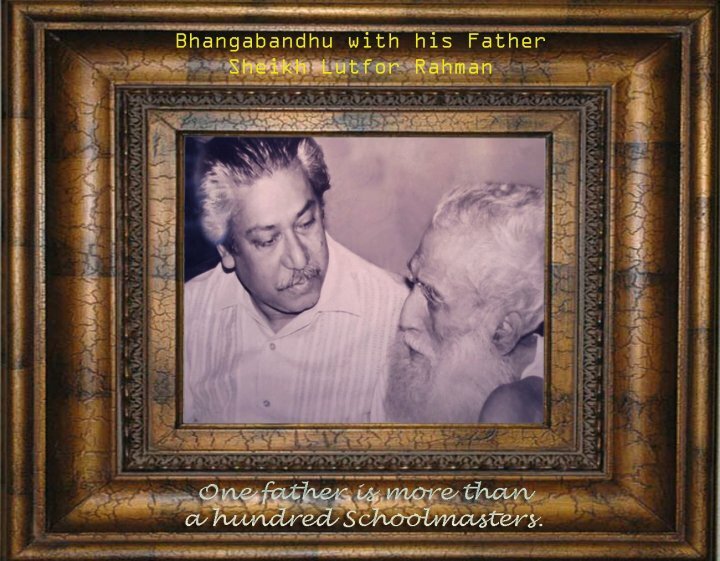 · On 8 March 1999 in a public meeting in Dhaka Fazlul Huq Amini (now an Alliance MP) thundered, “I am a follower of Osama bin Laden, I am a Taliban. Crores of Taliban are in this country. 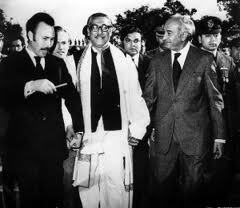 Hence like Afghanistan here also will be Taliban revolution.” There were others to beat the same drum. They have never recanted or revised their position. 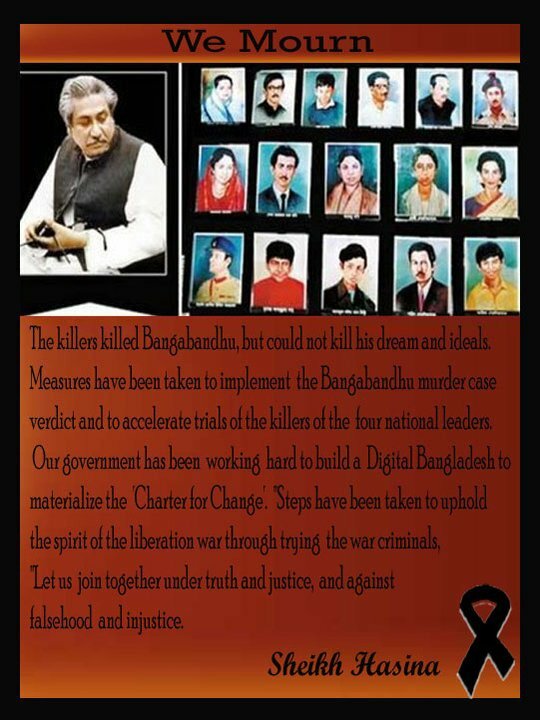 · Sohrab Khan a leader of Hijbut Towhid was arrested on 19 September 2001 in south Bangladesh. 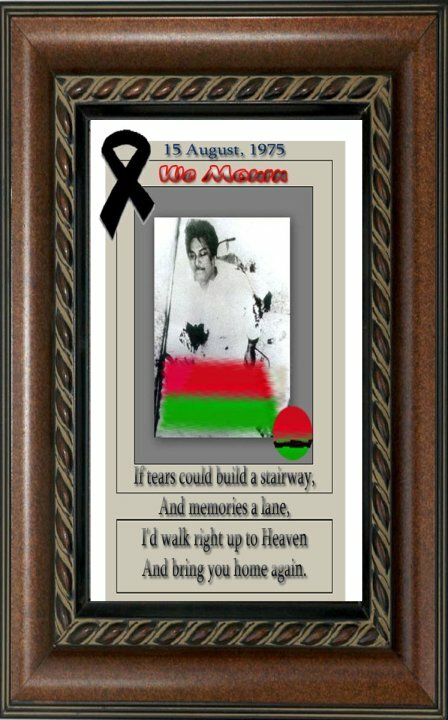 He was released and rearrested on 17 June 2002. 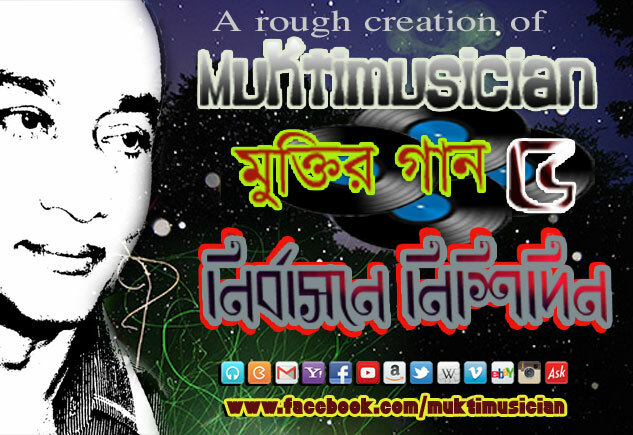 This group is active in Kushtia, Meherpur, Chuadanga, Jhenidah, Barisal, Madaripur, Gopalganj, Tangail, Narayanganj, Sylhet and Chittagong. They not only preach violence but also attack villages and kills people. But there is no attempt to curb their activities. · On 20 May 2002 the police nabbed a group of eight extremist of Jamatul Mujahidin in Dinajpur, supposed to be linked to Kashmiri and Taliban extremists. 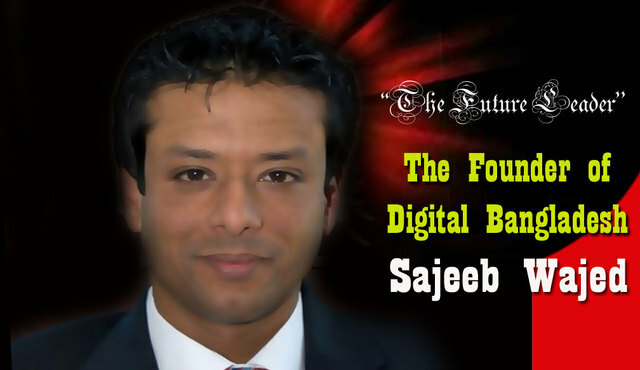 They were enlarged on bail and soon afterwards another group of five was arrested in Bagerhat with a huge cachet of explosives, who admitted that they wanted to kill an Awami League leader. They were also released after a while. The bomb blast in Dinajpur on 13 February 2003 was also traced to this group but no arrests were made. 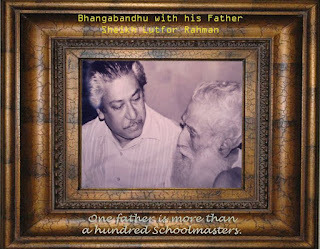 Then followed the big haul in Chapai Nawabganj on 11 March 2003 of both arms and activists. 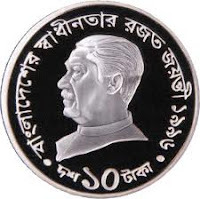 But this Jamat is active in many districts such as Dinajpur, Panchagarh, Thakurgaon, Gaibandha, Joypurhat, Bogra, Naogaon, Chapai Nawabganj, Jamalpur, Kishoreganj & Bagerhat. 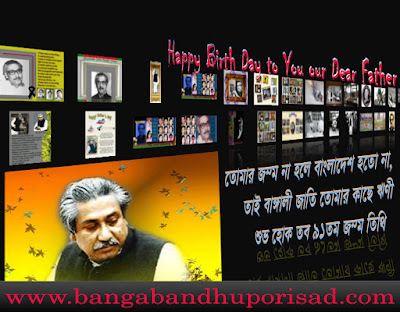 · On 6 December 2002 Khatib of Baitul Mokarram Obaidul Huq, recalled from retirement by the junta, sermonized that celebration of the Bengali New Year’s Day is not for Muslims. He also makes outlandish remarks about destroying other countries and ostracizing Qadiyanis. 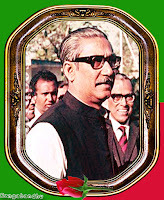 He is a favourite of Khaleda Zia. 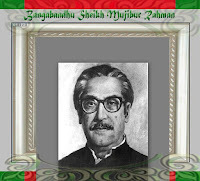 · On 8 February 2003 one Kawsar Siddiqi held a press conference in Rajshahi announcing the emergence of Shahadat al Hikma organized in military formations with the avowed purpose of defying the core values of Bangladesh. This group claiming 36,000 trained volunteers preached straightforward sedition and the patronizing government had difficulty in holding them in check. · The month of May 2004 was full of stories on exploits of one Azizur Rahman alias Siddiqur Rahman better known as Bangla Bhai. 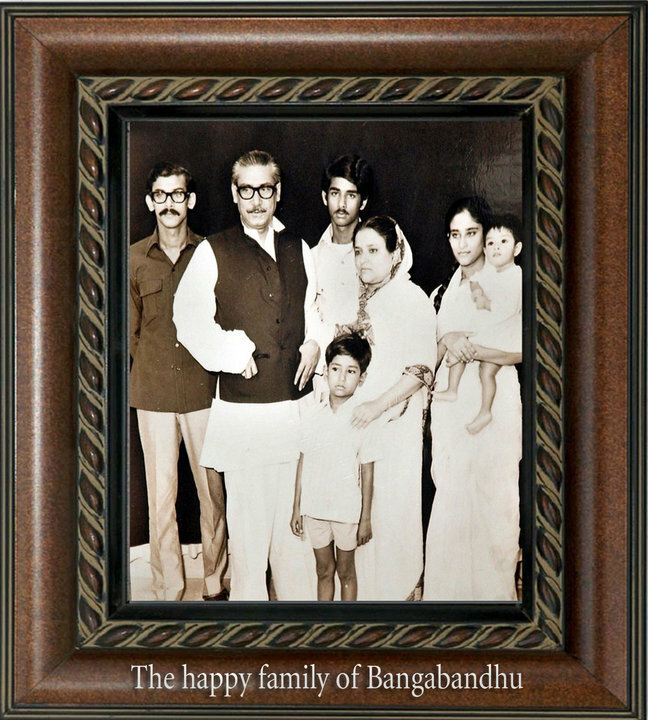 With the support of police he created havoc in north Bangladesh in the name of punishing the so-called communist Sarbaharas. 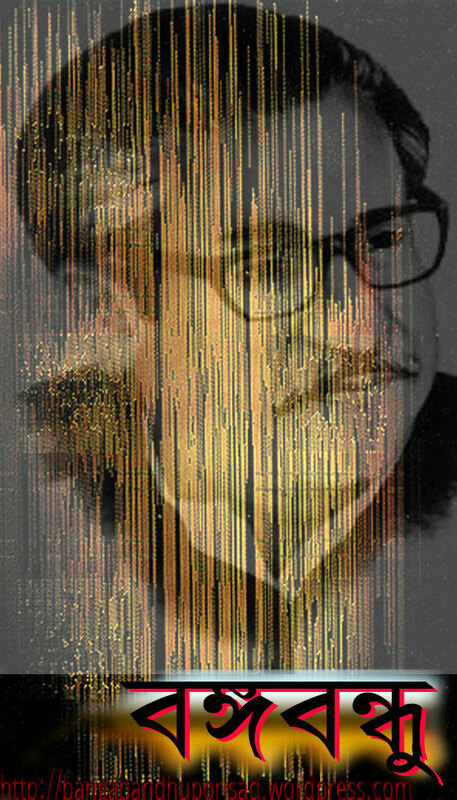 The Prime Minister ordered his arrest but the Jamat Minister Nizami announced that he was a mythical figure and the scoundrel is still functioning executing his extreme laws of brutal killing, arson and destruction. 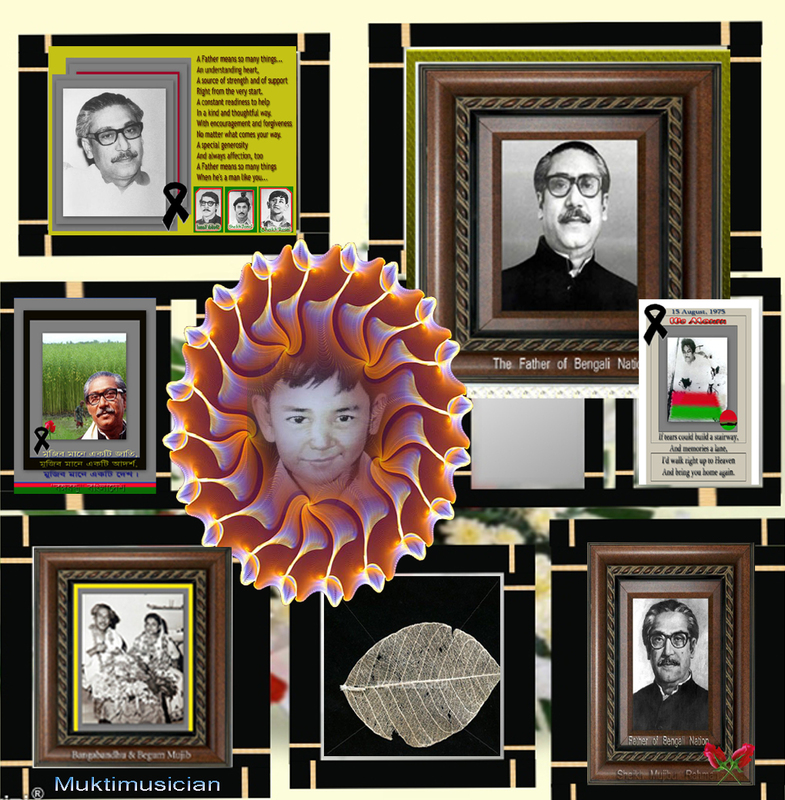 · All political murders in Khulna or Jessore are attributed to Janajuddaha, a clandestine extremist cadre. It is reported that a terrorist arrested by AL government by making a deal with some powerful leaders of the BNP-Jamat Alliance escaped captivity. 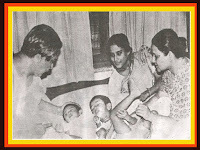 Very soon his reincarnation meant the emergence of Janajuddha. What transpires is that terrorism is flourishing in the country and extremists groups are having a field day. There is no genuine attempt at arresting the present trend of exponential growth in violence and extremism. Investigations are not made seriously, cases are hushed up after trying unsuccessfully to blame the AL and the government really nurse and encourage the breakdown of law and order. Partly it is because of their past links and habits and partly it is because they have politicized and ruined the efficiency of the police and perhaps partly because of the utter incompetence of the junta. There have been a number of interceptions of smuggled arms such as at Kahalu in Bogra, at Uttara and Kuril in the outskirts of Dhaka and at CUFL jetty in Chittagong. 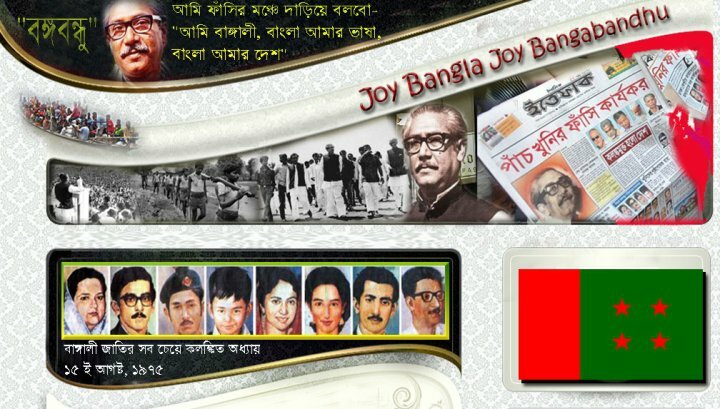 In each case the investigation has been directed against AL workers or innocent low level labourers although BNP-Jamat activists are clearly involved. The moment an investigation points at ruling junta goons or leaders it comes to a grinding halt. In the Chittagong case the trial court has been asking searching questions about investiga¬tion details, preservation of evidence and charging the real culprits. 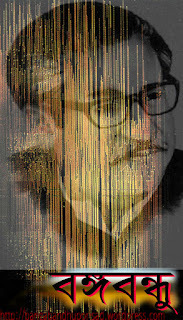 Reportedly SQ Chowdhury MP’s vessels were carrying the explosives and they were being unloaded at a jetty under the control of the Jamat Minister Nizami. Incidentally SQ Chowdhury only a few days back threatened to take on Sheikh Hasina as he accused her of preventing his election as Secretary General of OIC. There is no progress similarly in any investigation or any information on what is happening. They further allege that the ruling junta and terrorist groups under its patronage perpetrate all these acts. 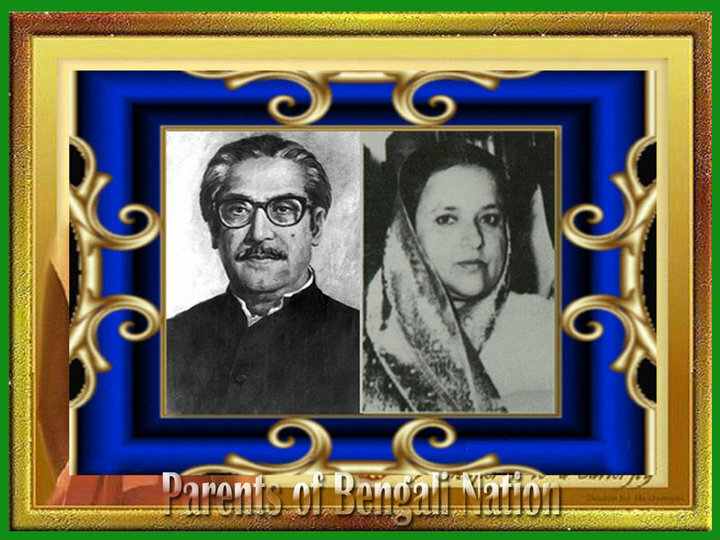 Terrorism comes naturally to BNP; its founder engaged the DGFI and NSI (units of law enforcing agencies) to organize terrorists among students and youth and this process was strengthened under Khaleda Zia’s earlier term as the Prime Minister. Jamat maintains arms cadre because their objective is assumption of state power by hook or by crook and they stand committed to jehad or religious war. 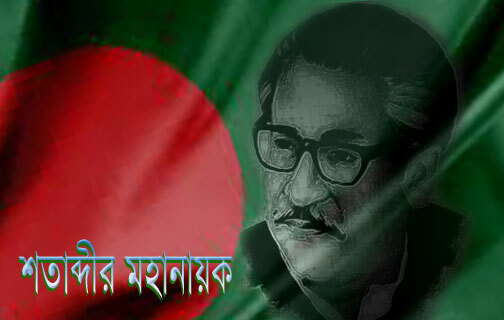 Now let us direct our attention specifically to the grenade attack on Sheikh Hasina on 21 August at Bangabandhu Avenue. 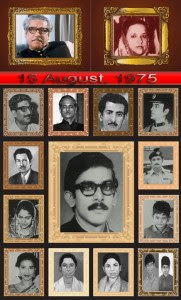 What is the perception of the government about this national tragedy? How have they reacted to it? What steps have the government taken since then? Have they been sincere in dealing with a national tragedy? Does their attitude or action inspire any trust and confidence in their ability to cope with the crisis? · Far from experiencing shock and grief on this tragic and somber occasion the government tried to throttle natural expression of condolence and grief. They beat up condolence processions and meetings all over the country. They even disgraced the last religious rites (i.e. JANAZA) of the dead people by deliberately delaying the delivery of dead bodies and possibly secreted some dead bodies as well. Janaza of respected national leader Ivy Rahman could not be held at her hometown because of violent resistance by BNP goons backed up by the police. 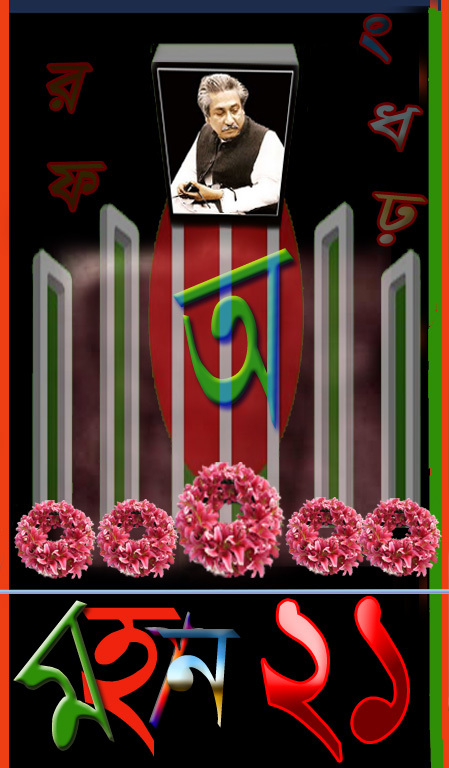 · Khaleda Zia and others of the government issued statements condoling the death of the victims of the attack and sympathizing with their relations, friends and colleagues. But strangely although the entire nation thought so the ruling junta never acknowledged that it was an attempt on Sheikh Hasina’s life. They emphasized only the destabilizing impact of the attack. 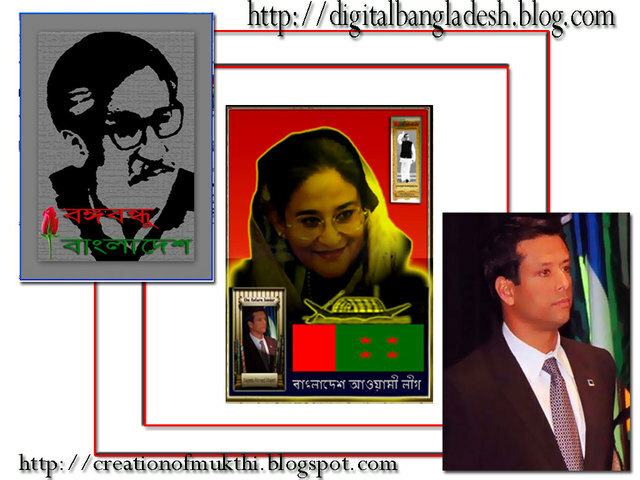 Khaleda Zia as per news reports even chided her coalition partners for condemning the attack on Sheikh Hasina. 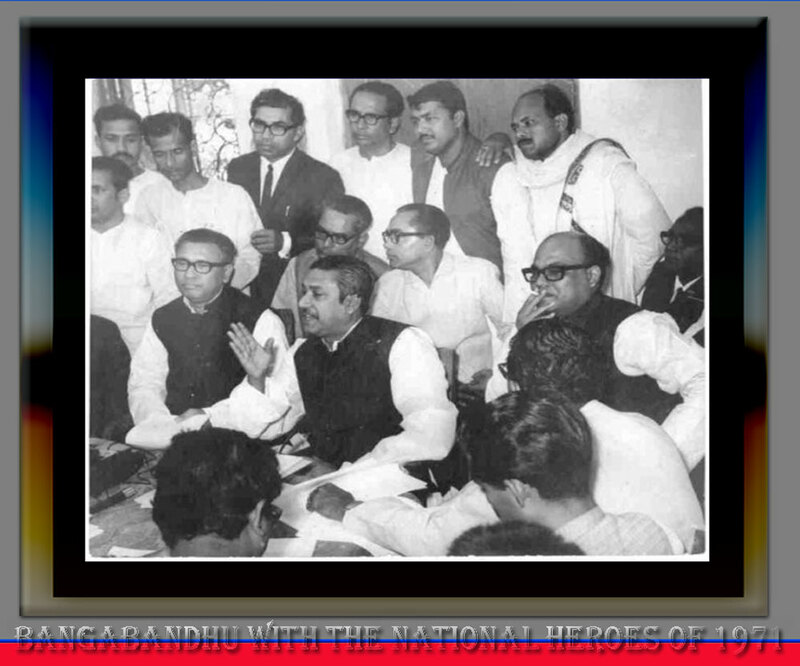 Then Khaleda Zia, apparently on second thought, staged a public relations gimmick of calling on Sheikh Hasina. The wish was expressed with great fanfare to the press before it was made to the victim. Is not it a little weird that the statement on the so-called desire for a meeting should be so drafted as to annoy Sheikh Hasina and then the fiasco about visiting her should be carefully orchestrated? 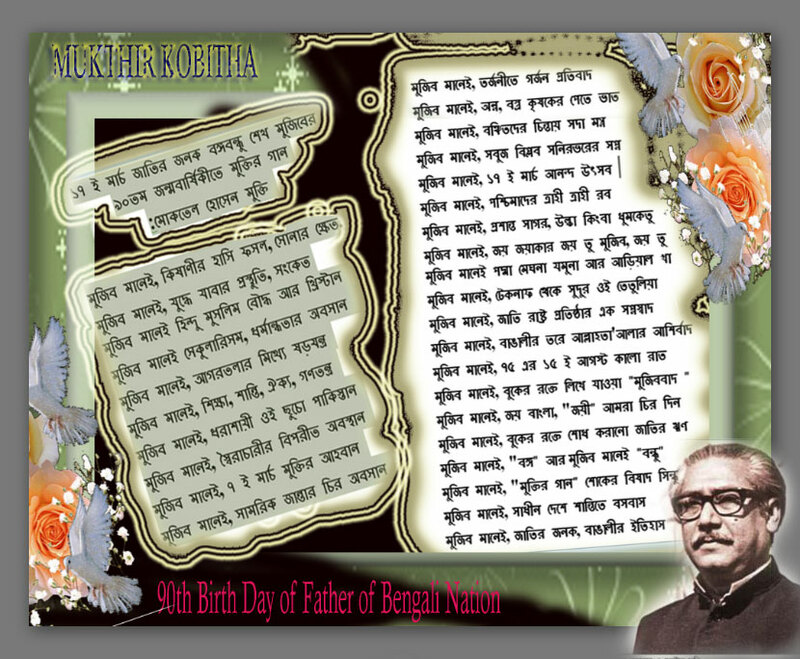 Interestingly the press was given the statement well before it was faxed to Sheikh Hasina. Could not one surmise under the circumstances that the government thinks that if Hitler, Mussolini or Salazar could achieve so much without the existence of so powerful media and so destructive weapons of suppression, for them equipped with modern tools the sky is the limit for goebelian lies and high handed operations? 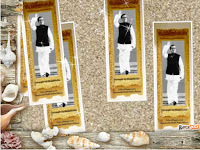 · The government has taken some steps against petty employees for dereliction of duty in connection with the grenade attack. But just look at the people against whom action has been taken. 10 prison guards have been suspended because they could not explain how a grenade was found within the walled jail compound. For failure to give due importance to the news the Director General of BTV has been made an OSD and the Producer has been suspended. An intelligence failure of such magnitude and a security mess in the presence of hundreds of policemen on duty do not seem to have registered with the government. 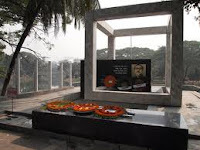 No action has been taken against the State Minister for Home, the Home Secretary, the Inspector General of Police, the Dhaka Police Commissioner or the Heads of Intelligence Agencies or Police Officers in charge of the event. Nor has anyone of them offered to resign. Not even anyone in charge of various services at the place of occurrence has been closed or transferred to facilitate unbiased investigation. · Then to hoodwink the people they set up a commission of enquiry with one Judge of questionable neutrality, who was even rejected by the Supreme Court lawyers association. Rejected by the political opposition and by the lawyers of the Supreme Court this Judge without any sense of honour went ahead with his enquiry. His publicity campaign before and after submitting his report only confirms his partisan nature and his habit of making unsubstantiated political statement. On the other hand the Supreme Court Bar association set up a commission of its own but the government is not giving them any quarters yet. 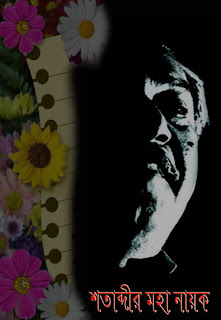 · In order to further deceive the people they sought assistance from Interpol. Interpol is a federation of all police forces of the world and they can provide technical assistance to any member country by drawing on the pooled resources of the world. But they work as directed and supervised by the host government. Surely they make their own judgment but it is obviously based on what they get to know from their hosts. They also report to their hosts. This could be a good investigation but since the government draws the terms of reference, the government provides the facts and information and the government decides what to do with their views and reports this cannot by any stretch of imagination be a neutral investigation. · If a proper and neutral enquiry was really wanted or if a competent investigation was really desired there were ways to do it. In the first instance in this climate of mistrust and questionable credentials of the government the enquiry should have been finalized in consultation with the Opposition. The investigation should have been started forthwith with superintendence vested in some bipartisan authority. Many other ways could be thought of to give due importance to the catastrophe and ensure a national response. · Instead a normal investigation was launched and it could not be more incompetent or more inefficient. As per newspaper reports for five days the investigating team did not visit the place of occurrence nor did they inspect the bullet struck vehicle till much later. Then they collected exhibits from the place of occurrence from AL workers and volunteers who preserved them and it is now well known that they have not only contaminated them but also destroyed some of them. They removed the truck that was converted into the podium and handed it back to the owner, possibly to wipe off all useful evidence. They seized all videotapes on the incident and what is the guarantee that they have not doctored them? 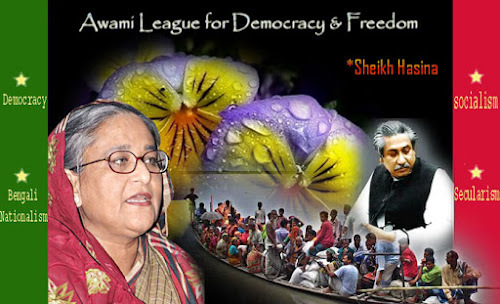 It is not known if they instantaneously interrogated any eye-witnesses or suspects except one of their own who was on security duty with Sheikh Hasina. It is reported that the Interpol teams were shocked by the appalling incompetence of the investigation. Awami League from the very beginning has been asking for a thorough enquiry and unbiased and competent investigation. As stated above they have no trust in the government – neither on its capacity nor on its willingness. They believe that the government is a party to the conspiracy that was bold enough to stage the attack and vanish into thin air after making the partially failed attempt. They suggested that either the Commonwealth secretariat could handle the job or the UN could be invited to do it. The Commonwealth secretariat does not have a police force or investigative arm at all. But it has the capacity to mount any operation when requested by a member country. They could get police forces of many members to form a team to undertake the assignment. In this case the investigation team would report to the C’wealth secretariat. 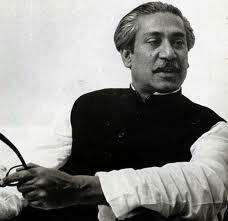 They would define the terms of reference certainly in consultation with the parties in Bangladesh. They would ask for making available all information to the investigation team. The team would be responsible to them. It would not involve any surrender of sovereignty to a foreign country. The other alternative is the United Nations. Interpol already has an agreement with the UN to assist the Office of Internal Oversight, which is its audit office. So there is the possibility of UN using the services of Interpol. But more germane than this is the mechanism set up on 28 September 2001 by resolution 1373 to deal with international terrorism. It has set up a Counter-Terrorism Committee of the Security Council to implement the resolution. The Secretary General in his turn under the direction of the Committee has set up an Executive Directorate for the Counter-Terrorism Committee. This Directorate has a staff at its disposal mainly to collect information on efforts of member states to counter terrorism, to provide technical assistance to them to enhance their capacities and to ensure follow-up of the Committee’s decisions. This has in-house capacity and it can call on Interpol or national police agencies for support. All governments are required to report on the counter terrorism measures and activities in their countries. In such reports legislation on counter-terrorism, machinery for executing the laws, and the actual actions and omissions are covered. In fact, a report on the state of counter-terrorism is provided. 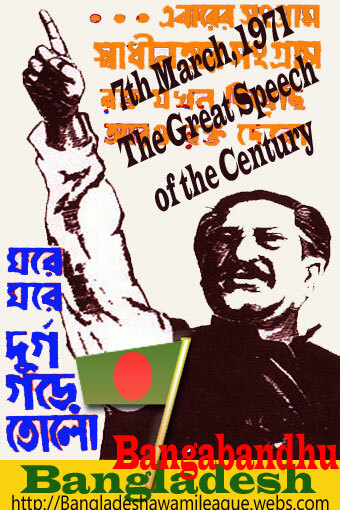 Bangladesh submitted its report for 2002 and the report for 2003 is due. The incident of 21 August is serious enough for the Counter-Terrorism Committee to get involved in its reporting and assessment. 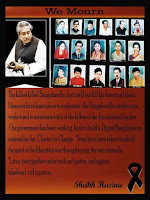 Bangladesh government should ask UN Counter-Terrorism Committee to undertake this investigation. This is the only way to avoid interventions by individual countries willing to help and seek multilateral intervention. No investigation of which the tainted government of Khaleda Zia is in charge has any credibility or acceptance.